Thanks to the pervasive diffusion of social media and the increasing affordability of smartphone and wearable sensors, psychologists can gather and analyse massive quantities of data concerning people behaviours and moods in naturalistic situations. The availability of “big data” presents psychologists with unprecedented professional and scientific opportunities, but also with new challenges. On the business side, for example, a growing number of tech-companies are hiring psychologists to help make sense of huge data sets collected online from their actual and prospective customers. The job description of a “data psychologist” not only requires perfect mastery of advanced statistics, but also the ability to identify the kinds of behaviours that are most useful to track and analyse, in order to improve products and business strategies. Psychological research, too, may be revolutionized from emerging field of big data. Until recently, online research methods were mostly represented by web experiments and online survey studies. Example of topic areas included cognitive psychology, social psychology, but also health psychology and forensing psychology (for an updated list of psychological experiments on the Internet see this useful resource by the Hanover College Psychology Department). However, the emergence of advanced cloud-based data analytics has provided psychologists with powerful new ways of studying human behaviour using digital footprints. An interesting example is CrowdSignal, a crowdfunded mobile data collection campaign that aims at building the largest set of longitudinal mobile and sensor data recorded from smartphones and smartwatches available to the community. As reported in the project’s website, the final dataset will include geo-location, sensor, system and network logs, user interactions, social connections, communications as well as user-provided ground truth labels and survey feedback, collected from a demographically diverse pool of Android users across the United States. A further interesting service that well exemplifies the scientific potential of social data analytics is the “Apply Magic Sauce PredictionAPI” developed by the Psychometrics Centre of the University of Cambridge. According to the Cambridge researchers, this algorithm allows predicting users’ personality traits based on Facebook interactions (i.e., Facebook Likes). To test the validity of the tool, the team compared the predictions generated by computer algorithms and the personality judgments made by human. The results, which were reported on Proceedings of the National Academy of Sciences (Youyou et al., 2015, PNAS, 112/4, pp. 1036–1040), showed that the computers’ judgments of people’s personalities based on their digital behaviors were more accurate than judgments made by their close others or acquaintances. 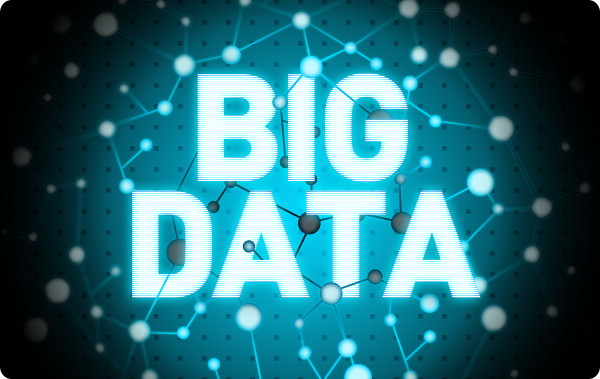 However, the emergence of “big data psychology” presents also big challenges. For example, it is the advantages of this approach for business and research should take into account the issues related to ethical, privacy and legal implications that are unavoidably linked to the collection of digital footprints. On the methodological side, it is also important to consider that quantity (of data) is not synonimous with quality (of data interpretation). In order to create meaningful and accurate models from behavioural logs, one needs to consider the role played by contextual variables, as well as the possible data errors and spurious correlations introduced by high dimensionality. Researchers at at John A. Rogers’ lab at the University of Illinois, Urbana-Champaign have incorporated off-the-shelf chips into fexible electronic patches to allow for high quality ECG and EEG monitoring. A group of Polish engineers is working on a smart sleeping mask that they hope will allow people to get more out of their resting time, as well as allow for unusual sleeping schedules that would particularly benefit those who are often on-call. The NeuroOn mask will have an embedded EEG for brain wave monitoring, EMG for detecting muscle motion on the face, and sensors that can track whether your pupils are moving and whether they are going through REM. The team is currently raising money on Kickstarter where you can pre-order your own NeuroOn once it’s developed into a final product. BITalino is a low-cost toolkit that allows anyone from students to professional developers to create projects and applications with physiological sensors. Out of the box, BITalino already integrates easy to use software & hardware blocks with sensors for electrocardiography (ECG), electromyography (EMG), electrodermal activity (EDA), an accelerometer, & ambient light. Imagination is the limit; each individual block can be snapped off and combined to prototype anything you want. You can connect others sensors, including your own custom designs. 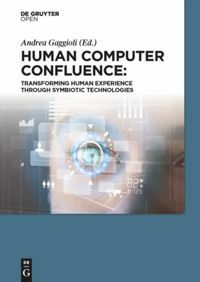 Physiological data in its different dimensions, either bioelectrical, biomechanical, biochemical or biophysical, and collected through specialized biomedical devices, video and image capture or other sources, is opening new boundaries in the field of human-computer interaction into what can be defined as Physiological Computing. PhyCS is the annual meeting of the physiological interaction and computing community, and serves as the main international forum for engineers, computer scientists and health professionals, interested in outstanding research and development that bridges the gap between physiological data handling and human-computer interaction. Personal and Ubiquitous Computing (2013), Volume 17, Issue 2, pp 241-251. Ubiquitous computing technologies offer exciting new possibilities for monitoring and analyzing user’s experience in real time. In this paper, we describe the design and development of Psychlog, a mobile phone platform designed to collect users’ psychological, physiological, and activity information for mental health research. The tool allows administering self-report questionnaires at specific times or randomly within a day. The system also permits to collect heart rate and activity information from a wireless electrocardiogram equipped with a three-axial accelerometer. By combining self-reports with heart rate and activity data, the application makes it possible to investigate the relationship between psychological, physiological, and behavioral variables, as well as to monitor their fluctuations over time. The software runs on Windows mobile operative system and is available as open source (http://sourceforge.net/projects/psychlog/). With the rapid adoption of mobile technologies and the proliferation of smartphones, new opportunities are emerging for the delivery of mental health services. And indeed, psychologists are starting to realize this potential: a recent survey by Luxton and coll. (2011) identified over 200 smartphone apps focused on behavioral health, covering a wide range of disorders, including developmental disorders, cognitive disorders, substance-related disorders as well as psychotic and mood disorders. These applications are used in behavioral health for several purposes, the most common of which are health education, assessment, homework and monitoring progress of treatment. For example, T2 MoodTracker is an application that allows users to self-monitor, track and reference their emotional experience over a period of days, weeks and months using a visual analogue rating scale. Using this application, patients can self-monitor emotional experiences associated with common deployment-related behavioral health issues like post-traumatic stress, brain injury, life stress, depression and anxiety. Self-monitoring results can be used as self-help tool or they shared with a therapist or health care professional, providing a record of the patient’s emotional experience over a selected time frame. Measuring objective correlatives of subjectively-reported emotional states is an important concern in research and clinical applications. Physiological and physical activity information provide mental health professionals with integrative measures, which can be used to improve understanding of patients’ self-reported feelings and emotions. The combined use of wearable biosensors and smart phones offers unprecedented opportunities to collect, elaborate and transmit real-time body signals to the remote therapist. This approach is also useful to allow the patient collecting real-time information related to his/her health conditions and identifying specific trends. Insights gained by means of this feedback can empower the user to self-engage and manage his/her own health status, minimizing any interaction with other health care actors. One such tool is MyExperience, an open-source mobile platform that allows the combination of sensing and self-report to collect both quantitative and qualitative data on user experience and activity. Other applications are designed to empower users with information for making better decisions, preventing life-style related conditions and preserving/enhancing cognitive performance. For example, BeWell monitors different user activities (sleep, physical activity, social interaction) and provides feedback to promote healthier lifestyle decisions. Besides applications in mental health and wellbeing, smartphones are increasingly used in psychological research. The potential of this approach has been recently discussed by Geoffrey Miller in a review entitled “The Smartphone Psychology Manifesto”. According to Miller, smartphones can be effectively used to collect large quantities of ecologically valid data, in a easier and quicker way than other available research methodologies. Since the smartphone is becoming one of the most pervasive devices in our lives, it provides access to domains of behavioral data not previously available without either constant observation or reliance on self-reports only. For example, the INTERSTRESS project, which I am coordinating, developed PsychLog, a psycho-physiological mobile data collection platform for mental health research. This free, open source experience sampling platform for Windows mobile allows collecting self-reported psychological data as well as ECG data via a bluetooth ECG sensor unit worn by the user. Althought PsychLog provides less features with respect to more advanced experience sampling platform, it can be easily configured also by researchers with no programming skills. In summary, the use of smartphones can have a significant impact on both psychological research and practice. However, there is still limited evidence of the effectiveness of this approach. As for other mHealth applications, few controlled trials have tested the potential of mobile technology interventions in improving mental health care delivery processes. Therefore, further research is needed in order to determine the real cost-effectiveness of mobile cybertherapy applications. Thanks to the accellerated diffusion of smartphones, the number of mobile healthcare apps has been growing exponentially in the past few years. Applications now exist to help patients managing diabetes, sharing information with peers, and monitoring mood, just to name a few examples. Such “applification” of health is part of a larger trend called “mobile health” (or mHealth), which broadly refers to the provision of health-related services via wireless communications. Mobile health is a fast-growing market: according to a report by PEW Research as early as in 2011, 17 percent of mobile users were using their phones to look up health and medical information, and Juniper recently estimated that in the same year 44 million health apps were downloaded. The field of mHealth has received a great deal of attention by the scientific community over the past few years, as evidenced by the number of conferences, workshops and publications dedicated to this subject; international healthcare institutions and organizations are also taking mHealth seriously. For example, the UK Department of Health recently launched the crowdsourcing project Maps and Apps, to support the use of existing mobile phone apps and health information maps, as well as encourage people to put forward ideas for new ones. The initiative resulted in the collection of 500 health apps voted most popular by the public and health professionals, as well as a list of their ideas for new apps. At the moment of writing this post, the top-rated app is Moodscope, an application that allows users to measure, track and record comments on their mood. Other popular apps include HealthUnlocked, an online support network that connects people, volunteers and professionals to help learn, share and give practical support to one another, and FoodWiz.co, an application created by a mother of children with food allergies that which allows users to scan the bar codes on food to instantly find out which allergens are present. An app to help patients manage diabetes could not be missing from the list: Diabetes UK Tracker allows the patient to enter measurements such as blood glucose, caloric intake and weight, which can be displayed as graphs and shared with doctors; the software also features an area where patients can annotate medical information, personal feelings and thoughts. Lost equipment: A significant problem because it happens so frequently, even a smartphone in the wrong hands can be a gateway into a health entity’s network and records. And the more that patient information is stored electronically, the greater the number of people potentially affected when equipment is lost or stolen. In conclusion, the “applification of healthcare” is at the same time a great opportunity for patients and a great responsibility medical professionals and developers. In order to exploit this opportunity while mitigating risks, it is essential to put in place quality evaluation procedures, which allow to monitor and optimize the effectiveness of these applications according to evidence-based standards. For example, iMedicalApps, provides independent reviews of mobile medical technology and applications by a team of physicians and medical students. Founded by founded by Dr. Iltifat Husain, an emergency medical resident at the Wake Forest University School of Medicine, iMedicalApps has been referred by Cochrane Collaboration as an evidence-based trusted Web 2.0 website. Watch the MobiHealthNews video report: What is mHealth? Stephen Wolfram, the chief designer of Mathematica and the Wolfram Alpha computational knowledge engine, has been setting a new norm in the fields of lifelogging, the quantified self and personal analytics, by accumulating several Nicholas Felton-amounts of data during his personal life. Stephen has recently posted several graphs, dotplots and timelines, in an attempt to make some sense out of his 1 million outgoing email messages since 1989 (containing about 33,000 distinct words), 100 million keystrokes since 2002, every calendar event and scheduled meeting since 2000, all phone calls since 2004, and all his physical activity since 2004. To top all that off, Stephen has also several backups of his computer filesystems going back to 1980, and managed to somehow digitize about 230,000 paper documents, resulting in an immense mountain of potentially useful and revealing information about his historical work habits. Not surprisingly, the overall patterns are quite straightforward: meetings and collaborative work during the day, a dinner-time break, more meetings and collaborative work, and then in the later evening more individual work. Most larger scale trends and patterns relate to according shifts in attention towards new projects. Co-founder of Geoloqi Aaron Parecki is showing of the core services of this mobile platform for tracking and sharing location data, in the blog post "Everywhere I've Been". The resulting maps are generated entirely from 2.5 million unique GPS points (about 1 point per 2 to 6 seconds), which were tracked by his iPhone or Android phone for the past 3.5 years (resulting also in some interesting battery issues). The trajectories and itineraries on the maps have been colored by year, in order to reveal how his physical footprint changes over time due to the different locations of his house. Emotizer is a new emotional social network that allows you to bookmark places, people, objects, dreams and thoughts and link them to the emotions you're feeling within. Moodscope is "an online personal mood management tool that helps people grappling with depression or mood disorders to effectively measure and track their moods". It allows tracking your "ups and downs" and displaying them on a graph to better understand how your mood fluctuates over time. And yes, of course it allows sharing your scores with trusted friends so they can support you if you are down.. The convergence between ubiquitous computing and wearable microsensors is enabling a new trend in human-computer interaction: “self-tracking”. In general terms, self-tracking refers to the measurement of data about the self, through personal informatics tools. Data collected can be aggregated, visualized, collated into reports and shared. For example, by wearing a small sensor wirelessly connected with a smartphone, a runner can automatically track distance, speed, calories burned and share her performance on the web. But virtually any aspect of one’s life can be potentially registered, at the biological, behavioral or contextual levels. Programs already exist to monitor blood pressure, heart rate, pain, happiness, mood, and location, just to name few examples. Conceptually, self-tracking is not a new idea. Since the invention of writing, human beings have used different tools to record daily life (i.e. the diary). However, the emergence of pervasive computing tools has made this process easier. In addition, the increasing memory capacity of portable media devices allow to store massive amounts of personal data, making it possible to record an entire life of events. This is the idea behind MyLifeBits, a project by Microsoft’s Media Presence Research Group, which has created a system able to digitally chronicle every aspect of a person's life. The development of this “lifetime personal store” was possible thanks to the perseverance of Gordon Bell, a Microsoft’s senior researcher and computer scientist, who for eleven years has captured every moment of his personal and professional lives. Bell’s experiment was inspired by the Memex system, a “configurable storehouse of knowledge” envisioned by engineer Vannevar Bush as early as 1945. The database created by Bell includes articles, books, correspondence, photos, telephone calls, video files, web pages visited and is completely searchable. Another pioneer of “life-logging” is Steve Mann, a tenured professor at the Department of Electrical and Computer Engineering at the University of Toronto, who in 1994 started continuously transmitting his everyday life 24 hours a day, 7 days a week on his website: visitors could see what Mann was looking at, as well as communicate with him in real time. But besides the intriguing idea of logging one’s life, what is the real promise of self-tracking? Personal informatics offers the possibility to store and access data from our daily life and improve self-knowledge. Insights gained by performing these measurements can be used, for example, to change life-threatening habits, adopt healthier lifestyle, or take more informed treatment decisions. This is why a growing number of websites offer services to track and compare health data. For example, CureTogether allows users to anonimously track various health measures (including symptoms, treatment plans and medication schedules) and share them with other individuals having the same conditions. Aggregated data can be then analyzed to identify trends and eventually highlight the most effective treatments. The founder of the website, Alexandra Carmichael, is herself a self-tracker. She reported monitoring more than 40 different categories of information about her health and personal habits, from caloric intake to daily mood. The potential of self-tracking has not been overlooked by psychologists. Conceptually, this approach was developed by Mihaly Csikszentmihalyi and Reed Larson in 1983, much before the advent of personal informatics. They created a paper-and-pencil methodology, called Experience Sampling Method (ESM), which requires participants to fill out multiple brief questionnaires about their current activities and feelings by responding to random alerts throughout the day. ESM has been used effectively with adolescent and adult populations for decades to understand areas such as mood, social interactions and time use. This approach has also proven to be helpful in defining therapeutic interventions that are optimally suited for an individual patient. Used in combination with physiological and contextual measures, computerized version of the ESM may provide a powerful tool to study person-environment interactions. Researchers interested in experimenting with this approach, but lacking programming skills, can use MyExperience, a BSD-licensed open source mobile data collection tool developed for Windows Mobile devices. MyExperience allows the combination of sensing and self-report to collect both quantitative and qualitative data on experience and activity. The beta release of MyExperience supports 50 built-in sensors including GPS, GSM-based motion sensors and device usage information. The sensor events themselves can be used to trigger custom actions such as to initiate wireless database synchronization, send SMS messages to the research team and/or present in situ self-report surveys. Other external sensors (i.e. physiological) can be added via MyExperience plug-in architecture. MyExperience can also be used for designing innovative cybertherapies. For example, Dr. Margaret Morris from the Digital Health Group at Intel and colleagues from Oregon Health and Sciences and Columbia University have recently developed and tested a mobile phone application for mood reporting, which also provides therapeutic exercises for cognitive reappraisal and physical relaxation (M. E. Morris et al, Mobile Therapy: Case Study Evaluations of a Cell Phone Application for Emotional Self-Awareness, Journal of Medical Internet Research, 12(2):e10, 2010). In summary, self-tracking is an emerging trend in personal informatics, with potentially interesting applications in the fields of cyberpsychology and cybertherapy. However, more research is needed to determine the real benefits (and risks) of this approach. Physiological Computing is a blog run byrun by Stephen Fairclough and Kiel Gilleade aimed at providing the latest news and research in the field of physiological computing. 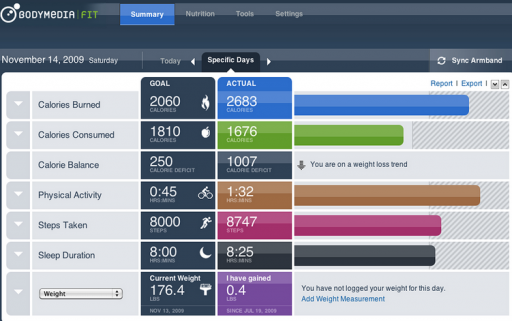 The Quantified Self is a group engaged in self-tracking activities started by Kevin Kelly and Gary Isaac Wolf. The group also organizes meetups around the world. Patients like Me is a social networking health site that enables its members to share treatment and symptom information in order to track and to learn from real-world outcomes. The Body Computing Conference is an international conference devoted to the nascent field of physiological computing. PsychLog is an open source, smartphone-based experience sampling tool that allows to collect psychological, physiological (via wireless ECG) and behavioral activity data (from wireless in-built accelerometer). OPTIMI is a r&d project funded by the European Commission under funded by the European Union's 7th Framework Programme "Personal Health Systems - Mental Health" . The project has two key goals goals: a) the development of new tools to monitor coping behavior in individuals exposed to high levels of stress; b) the development of online interventions to improve this behavior and reduce the incidence of depression. To achieve its first goal, OPTIMI will develop technology-based tools to monitor the physiological state and the cognitive, motor and verbal behavior of high risk individuals over an extended period of time and to detect changes associated with stress, poor coping and depression. A series of “calibration trials” will allow the project will test a broad range of technologies. These will include wearable EEG and ECG sensors to detect subjects’ physiological and cognitive state, accelerometers to characterize their physical activity, and voice analysis to detect signs of depression. These automated measurements will be complemented with electronic diaries, in which subjects report their own behaviors and the stressful situations to which they are exposed. Further, the project will use machine learning to identify patterns in the behavioral and physiological data that predict the findings from the psychologist and the corticol measurements. Although the project's objectives are very ambitious, OPTIMI represents one of the most advanced initiatives in the field of Positive Technology, so I am very excited to follow its progresses and see how far it can go. Imec Netherlands has demonstrated a new type of wireless body area network (BAN). The Human++ BAN platform converts Imec's ultra-low-power electrocardiogram sensors into wireless nodes in a short-range network, transmitting physiological data to a hub (the patient's cellphone). From there, the readings can be forwarded to doctors via a Wi-Fi or 3G connection. BodyMedia has announced that its armband sensors will be able to communicate with smartphones, and wirelessly, using Bluetooth. Its health sensors will be one of the first devices, other than ear buds, that link to smartphones with Bluetooth short-range communications. It opens the door to allowing a person to monitor a collection of the 9,000 variables — physical activity, calories burned, body heat, sleep efficiency and others — collected by the sensors in a BodyMedia armband in real-time, as the day goes on. The Bluetooth-enabled armband costs $249 and the BodyMedia data service costs $7 a month and go on sale next month. In the past, BodyMedia users had to consult personal data downloaded to a Web site or observe a few measurements on a special watchband display, sold for $100. Britain's National Health Service could meet a substantial part of its $31.6 billion [USD] cost savings program simply by using technology that enables patients to monitor their own conditions, according to the health department's chief information officer. DOH CIO Christine Connelly said patients need 21st century technology to help them make informed health choices and "take control of their health and experiences." Experts note that home-based technology could reduce hospital admissions, physician call-outs and patients with repeat problems, however current access to health information is too hard, jargon-ridden and fails to reach people in their homes. The challenge, they note, is for software developers to create applications that can overcome these issues. A great presentation by Mattew Cornell about the concept of self-tracking and the implications of this emerging research field for people's wellbeing.